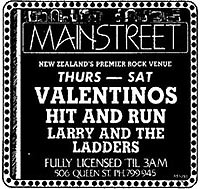 Larry & The Ladders played original energetic rock in and around Auckland in the early to mid 1980's. 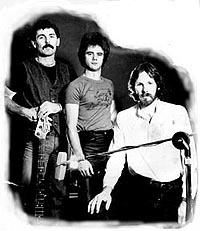 Their first single, released in 1981 on Ripper records, was "Looking For An Answer" and featured the ever young, vibrant and talented Garry Clarke on bass and was in itself a "ripper" of a song. A video was produced as well. 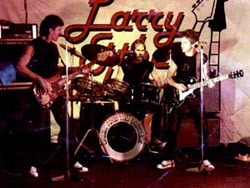 Garry left in due course and was replaced by Greg O'Donnell who brought his unique songwriting skills to the band. In 1982 "She Came Turquoise Eyes" was released on RCA and another video produced... see above...click the play button. 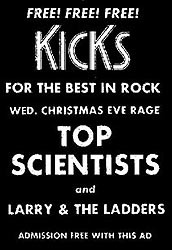 "She Came" was enjoying reasonable rotational play on Auckland's Radio Hauraki when suddenly almost all local material was pulled from the stations playlist, up until then any material played had been at the discretion of station programmers but the new American "formula/research" style of programming had just hit town, thus began the demise of any chance for local bands, L&L included, to get a fair swing at the airwaves. 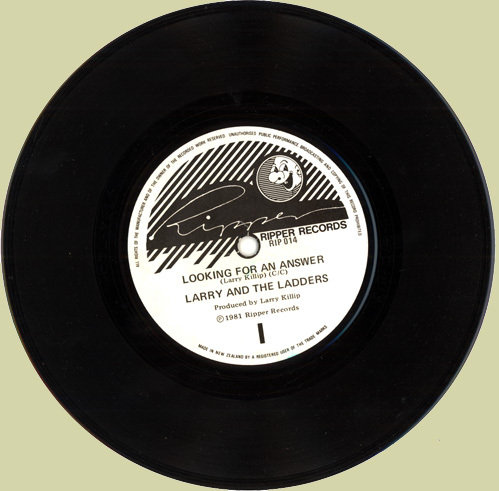 Although the band released only two singles, enough material for an album was in the can, some of this is available below as mp3s. 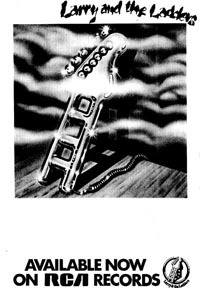 Three video clips were produced, and television appearances on local music programs "Shazam", "Drop Of Kulcha", "Ready To Roll", and a performance at the Auckland Town Hall live on Telethon.